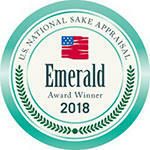 On November 7th, before the Joy of Sake Tokyo event was launched, the U.S National Sake Appraisal held its Award Ceremony. On this occasion, Urakasumi recieved the prestigious "Emerald Award" given to the brewery that recieved te most gold and silver award without winning the emerald prize in the past. The U.S. National Sake Appraisal has been held annually since 2001 and is the oldest sake appraisal conducted outside Japan. Eleven judges - eight from Japan and three from the U.S. - evaluate approximately 400 entries over two days following the traditional Japanese judging procedures. Top-scoring labels receive gold and silver awards, with "Grand Prix" and "Second Grand Prix" awards gien to the entries with the highest marks in each category. Urakasumi Sake Brewery is incrediblely honored to be granted these awards and wants to deeply thank everyone for their warm support through the years. We will continue to strive toward perfection in the art of sake brewing in order to provide our customers the best sake quality. 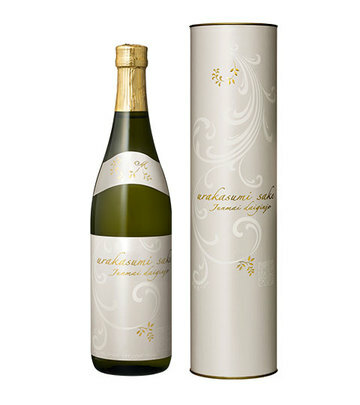 On the occasion of the October 2018 Sake Selection, Urakasumi's Daiginjo was awarded the Platinum prize ! Sake Selction is a new specialized contest for Japanese sake organized by the Concours Mondial de Bruxelles. Mostly as an internationnal wine contest, Concours Mondial de Bruxelles was held for 25 years now, and it attracted this year 55 countries with more than 10,000 different products. The jury panel was composed by specialists of 10 different countries, thus garanteeing diversity and impartiality when according medals. With the intention of promoting the several charms of Japanese Sake to the world, 35 sake smmeliers and experts were carefully selected for this year's new sake category. Our products were awarded prizes this first Sake Selection event ! It is a great honnor for us to be awarded such prizes. We are humbly grateful to everyone for their warm support and we will continue working hard on providing our customers the best quality sake.